The girl was most definitely lost. The city gate of Covenant was at least a mile away, but in what direction? She had no idea. The occasional glint of the sun that peeked between the high branches of the forest gave her few clues, and at six years old, she could hardly be expected to figure her position by it. Branches cracked underfoot, occasionally poking her feet through the thin canvas of her boots. Despair started to overcome her, but she refused to cry. She was determined. She wanted to see where they went every day. A far-away bellow startled her. She held her breath for whatever reason, but whichever dinosaur made the noise probably wouldn’t even consider her a snack. She kept telling herself that. She took a few more steps, but her quest was feeling more and more like it was a bad idea. Her tentative plan to return to Covenant became the best idea she could have. She turned. She saw the wolf. She refused to scream. “Hello,” she said. She wasn’t sure why. There were so many wonderful things in this world. Perhaps the Gods made a wolf that talked, and did not find children delicious. This was not such a wolf. It just stared at her. It bared its fangs. More wolves started to appear behind this one. None of them were magical talking wolves either. She closed her eyes. She would not scream, or cry. They were hungry, and she was made of meat. She hoped it would not hurt too much. The next few seconds were a myriad of yelps and howls, but nothing was touching her. She opened her eyes, and saw the man. He was dressed in the armor of the City Watch, and the wolf pack was suddenly very interested in him. His sword was a blur, and the sunlight reflected off his armor in such a way as to blind her. By the time she could move to a spot in the shade, the wolf pack had run off. Three dead wolves lay at the feet of the man. “Are you a god?” she asked. Like most children, what she had to say was the most important thing ever. “You found your wolves I guess,” he said. “But the Wolf Callers are far from here. Come with me back to the city.” He held a gauntleted hand, still stained with wolf blood. She didn’t take it. Keira smiled again. She was sad that some of the wolves died, but she had a new friend, and that made it a grand day. “Lieutenant Markus! You have…” The guard had no reason to say anything past that, as Keira strode into the room like she owned it. Markus sat behind his desk, as was usual at this time of the day. Reports had to be written, and while he disliked being interrupted, he would make the allowance for Keira. “You cut your hair,” he noted. “Trying to be more like me?” He ran a hand over his head. His hair was very military, and very proper. Markus straightened in his chair. Ever since he first met Keira in the forest, she had been devoted to his opinion. She looked up to him, like a big brother, but that did not mean she wouldn’t argue, or push her luck. Lieutenant Markus demanded respect from everybody, except Keira. Hers would have to be earned, and earning the respect of Keira was a constant battle. She had no family, and thus nobody with which to pick safe fights. Gek was the Gatewatch Overseer. He was the one man in charge of every single group that went through the gates into the forest. Everybody, from the Knights of the Dawn, to the Wolf Callers, had to get his permission to train as a Forestwalker. In Keira’s words, he was “a thousand years old”, and “smelled of gravy and sorrow”. Keira spun excitedly, showing every side of her new uniform. It was really nothing more than a few scraps of leather armor, but every Wolf Caller wore the same. Markus tried without success to disengage her. The men were watching! Eventually he gave in until she mercifully let him go. Markus sighed. He did not feel all that comfortable with her casually reminding him of the one time he broke the King’s law. He would never admit it to her, of course, and his reputation was such that nobody would have believed Gek. Nevertheless, he changed the subject. “Arik.” Keira beamed as she told him, and for years the nearby soldiers would tell the story of the time that Captain Markus laughed out loud. The proclamation rang out across the packed courtyard. Chamberlain Kark had such a voice that could dominate and command an entire quarter of the shining city. The crowd of soldiers let out a hearty cheer, and then another. 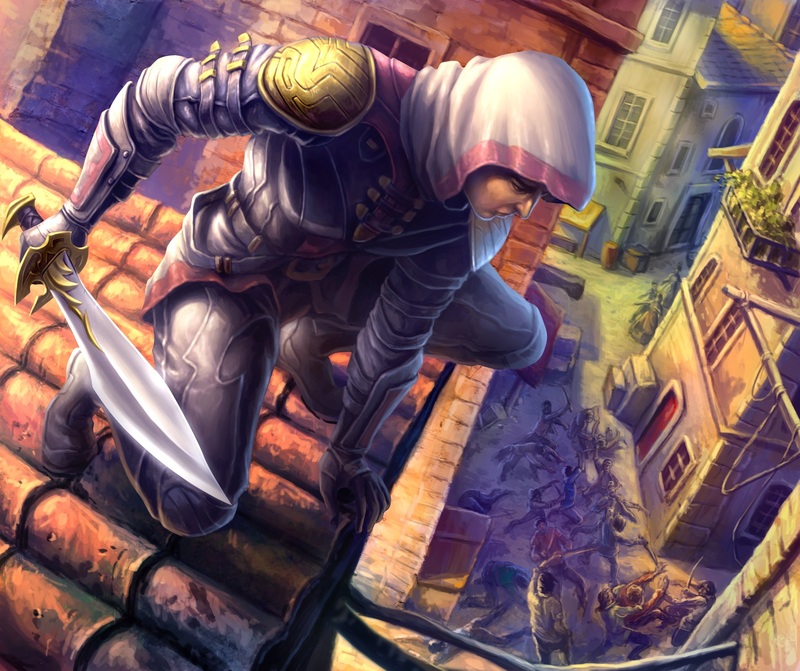 Keira smiled from her place atop a barrel in an alley that fed the city square. Did soldiers practice everything? Even shouting? She shook her head, only vaguely aware of the young girl that had hopped onto the barrel next to hers. “It’s just like the king to promote that monster!’ said the newcomer. The girl was shorter than Keira, with short, dark hair and a face that looked like an angry apple. She looked to be about Keira’s age. The girl lowered her voice and turned from the square. “I am Paros”, she said. “Nura,” replied Keira. She wasn’t sure that she trusted Paros, and her real name would be kept secret for now. Keira tried to think of something to say, but she was aware that Paros had vanished. She looked towards Markus, who looked to be in his own private hell of small talk and hand shaking. She was about to partially repay her debt to him. The Winters in Danabrae were mercifully short. The snow covered the grounds near Covenant for a few weeks at most, but this had an unfortunate effect on the local wildlife. Hunting was much tougher, and Keira learned that the villages that dotted the countryside were all vulnerable to attack from anything with teeth. 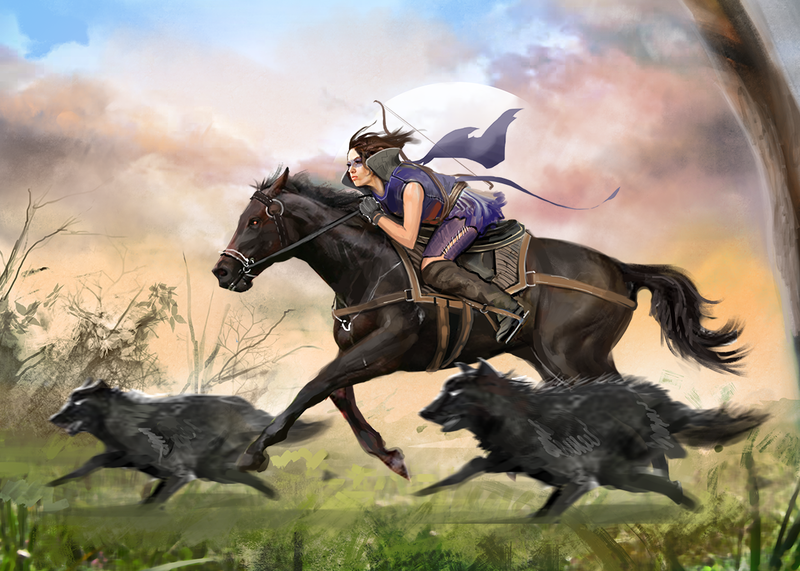 One of her first training missions with the Wolf Callers took her to three villages. The wolves ran with them, as they always did. The freedom of the wolf run was overwhelming. 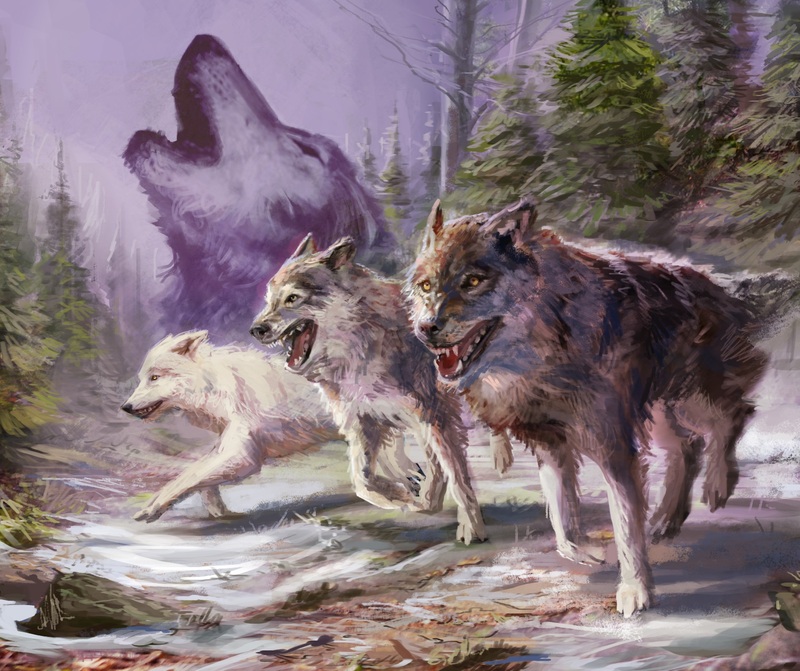 The Callers called, and the wolves joined them as allies. The first two villages were uneventful. The Wolf Callers traded food and medicines, and left without incident. The approach to the third village, Fen Behren, became frenetic. The Wolf Callers ahead of Keira, five in all, spurred their horses to a fast gallop, with shouts and calls to action. She smelled the burning, and did the same as the others. The scene that unfolded was straight out of a story of nightmares. Villagers lay dead, and dying. There was not one building that was undamaged by fire. The heat from the flames melted the snow, and turned the ground into a soupy mess of mud, making it hard to traverse. Keira dismounted and ran as best she could, but anybody that she approached was already done for. Eventually she found a young man that was dressed in the uniform of a village constable. His leg was missing below the knee, and he had clearly lost a lot of blood, but he was alive. She started to bind his wounds to stop the bleeding. “Scarros,” said Darrian. 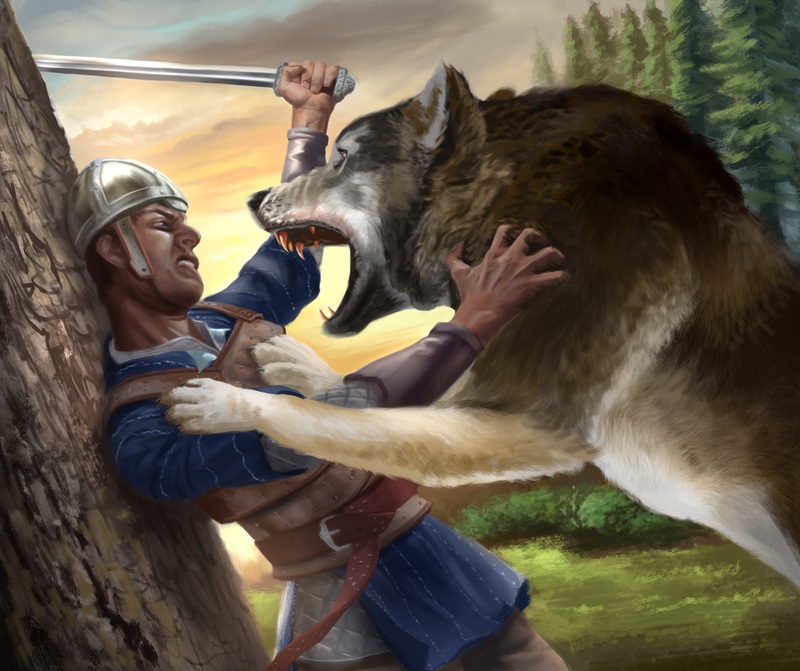 Darrian was the leader of the Wolf Caller team, and had approached Keira from behind. She was too focused to hear his footsteps in the mud, but she heard the name of the mutated wolf that served the Hunter, Draka. The Ahn-Het Forge was a vast desert several leagues away. It was a cursed place, where demons spawned. The Wolf Callers would not go there, but it did explain a lot. Scarros was being mutated by demonic rift energy, and the same energy was slowly driving Draka out of his mind. It was just after dusk when the men returned. Some of the survivors of the massacre at Fen Behren were resting, but the young constable died in Keira’s arms that afternoon. She later found out his name, but it didn’t matter. Keira didn’t go out on patrol any more that Winter. She was relegated to stable duty. They assured her that it was not a punishment, simply a rotation of duties, and she believed them. Mostly. On a particularly late afternoon, Keira became very aware that she had been followed. Though Wolf Callers had most of their expertise outside the walls of Covenant, Keira had spent fifteen years surviving the streets. She ducked down an alley, doubled back down another, and finally came up against a familiar face that glared at her from the other side of a small, dilapidated courtyard. “Greetings, Wolf Caller,” said Paros. The rebel leader was only a few months older, but looked so much more weathered. The twin daggers she held glinted in the sliver of moonlight that was caught between the tall buildings. Keira stopped. “Rebel leader,” she bowed, in a curious mocking tone. Keira did not back down. It was clear that Paros intended to kidnap her, but there were very good reasons why Keira chose this particular spot in which to be ambushed. Paros saw the eyes glinting in the moonlight before the heard the growls. From three different directions came three vicious-looking wolves. Paros met Keira’s gaze. “You see that I do not come alone, but the idea of a capture is intriguing…” Keira smiled, but almost immediately became aware of three blades being drawn from hidden scabbards. Paros had not come alone either. The young fighters stared at each other across the barely lit courtyard. Any comeback from Keira would have been lost to the night air. The rebel leader was gone. “It wasn’t really your scene,” said Keira. She had her feet on his desk again. He gently disengaged them. “Draka’s attacking the villagers too,” said Keira. She knew he didn’t care. Markus figured if people wanted to live outside the protection of the walls of Covenant, they deserved what they got. “I’ve only seen him once, from afar.” Keira sat up. She couldn’t recall a time when they both had the same problem. Keira opened her mouth to respond, but a sudden noise intruded on the conversation. It wasn’t really a noise…more like a note. She and Markus ran outside. From the Watch Keep, they could see the Temple of Kalnor, and hovering just above the very top spire was a huge, magnificent white dragon. Markus shrugged, and started to walk back into his office, but Keira still thought the sight of a giant, singing dragon somewhat magnificent. In the mere few seconds that it took for the Watch Captain to return, the two dragons had become three. They soared in a majestic pattern above the Temple of Kalnor, and they sang together. “What is it?” asked Keira. “Poppycock,” said Markus, and he walked back inside. Keira watched the magnificent display, as did about a thousand people in the nearby streets. Covenant had stopped to hear the dragons sing. It was a song of beauty and hope, and Keira wished that it would never end. 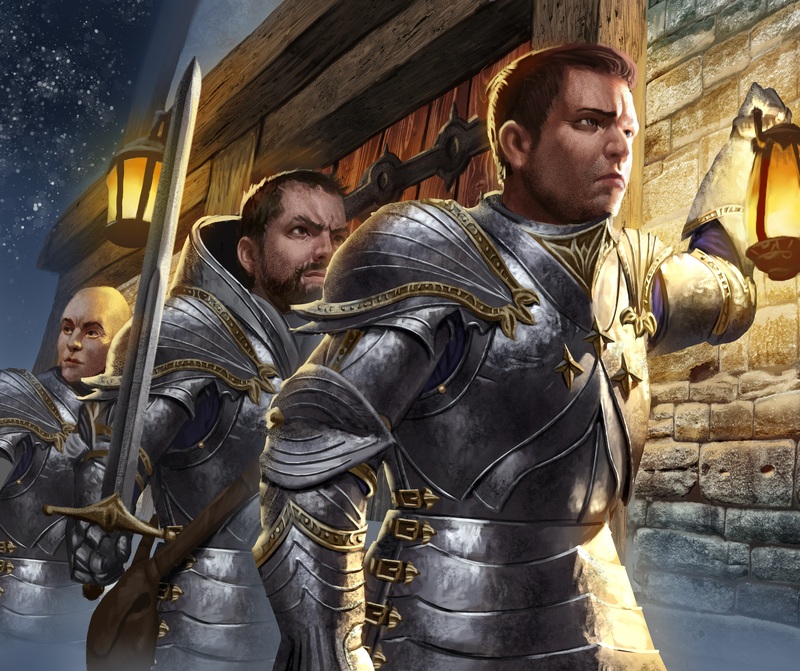 Keira’s squad followed the Knights of the Dawn out of the gates. The Summer sun peeked over the treeline at her, and the crisp air washed over Keira’s face. The Knights branched off, leaving the Wolf Callers to run deeper and gather the pack. They would unite the wolves and run as one, balancing the chaos of nature with order. It was a dance. An agreement. Each side coming together and learning from the other. Keira’s existence finally had meaning. She loved Markus. He was her family. Her brother. But this kind of love was different. There was a kind of…aggressive peace in the deepwood. An understanding that everything had to be fought for and over, and the only existence that had meaning was one without purpose. Keira had always avoided responsibility, and she finally knew why it felt right. 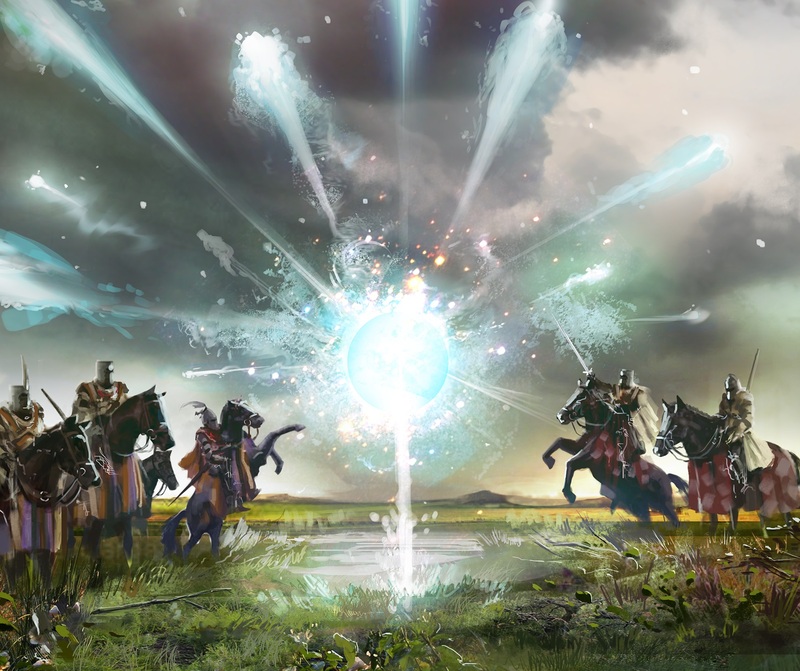 The Wolf Callers were at full gallop when the peace of Covenant exploded. The tiny band of three saw the sky blacken as a horde of demons flew overhead, and they heard the sound of a city scream. Keira was aware of the recent insurgency, but this was different. This was a war, and Markus would be defending the wall. They would need every warrior to return home. The Battle of Covenant had begun. The initial wave of flying demons had been turned back by the archers, but the larger ground forces would soon be here, and the walls of Covenant, hundreds of years old, had never had to withstand an assault of such magnitude. However, Markus had trained his garrison well, and the rest of the city forces had been prepared by their own commanders. The shining city would not fall easily. It could hold for many days, and it would. The gate was mercifully open when Keira approached. She looked down the heads of a hundred arrows all pointed at her as she rode through the gate and turned towards the Square of the Dawn where she stabled her horse. The Hunter flew overhead, watching the action. Draka was aware that the humans were skilled with their tiny bows, and watched with some amusement when several hundred demons blindly flew into a wall of well-placed arrows. Those within the walls would not die easily. Draka had traditionally avoided the shining city. The hunting was poor, and the bows were swift. However, he could not resist the challenge when he saw the men on the wall. A hundred stood where there might usually be three or four, and he could not resist. There was a crisp tenseness in the air. The people of the usually crowded streets had faded into the background, leaving only soldiers and hushed silence. There were whispers about fighting in the North of the city. Rumor was the Forbidden Citadel was also under attack, but she cared nothing for the Forcemages or their weird crystals. Then she heard the screams. From the wall along the far South of the city, fire and death rained. The smell was unique, and familiar. The Hunter had strafed the wall. 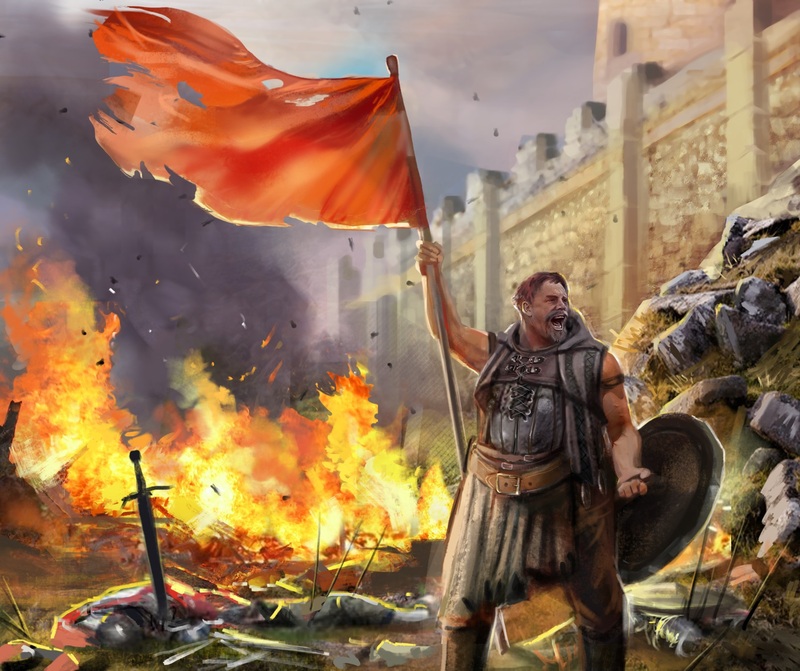 The wall was packed with soldiers, and the dragon could not resist such an easy kill. Keira got to the barracks just in time to see Markus yelling at the retreating men, many of them recent recruits. Most of them ignored him. As inspirational as Markus was, Draka was a terror that could not be easily overcome. Keira rushed towards him, but Markus did not even see her. 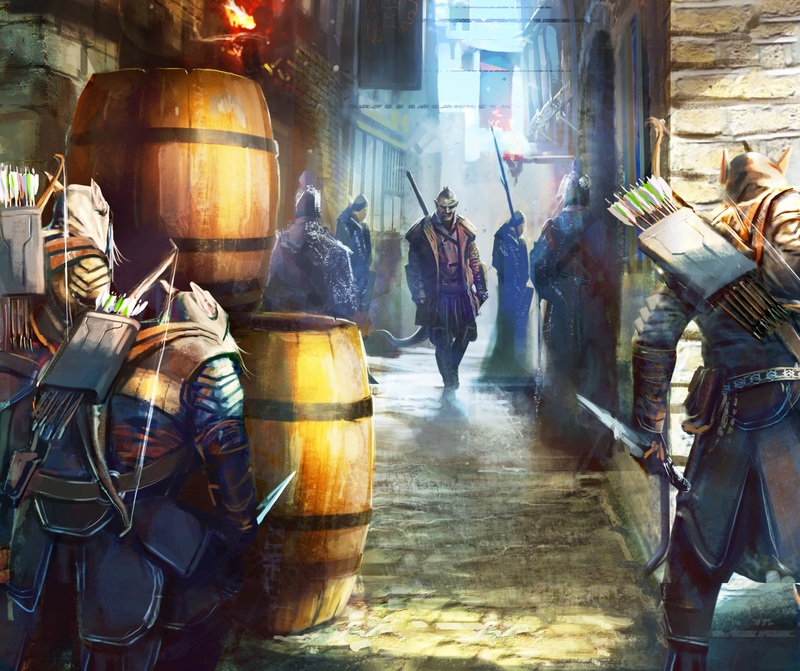 He grabbed his weapons and a handful of arrows, and he climbed the steps to the wall where the fire still burned. “Markus!” she called, but he did not respond. Keira ran behind him, vowing to stand with her brother until the very end, but from the corner of her eye she saw a familiar sight. Leaping from rooftops, and crossing the impossibly dense series of buildings with an inhuman acrobatic ease, was Paros. Keira switched directions in order to intercept the rebel leader, lest Markus find a dagger in his back at his moment of challenge. Markus reached the top of the wall and looked out. The dragon was circling overhead, possibly looking for another easy kill. Filled with rage, he took his bow, nocked an arrow, and fired. The Hunter was too far up for Markus to tell if he had struck his mark, but it made no matter. The dragon noticed him, and flew in to rid himself of this whelp. Keira saw the dragon’s dive, and her heart leapt into her throat. She had never seen such bravery. Markus did not move at all. He simply nocked another arrow and waited. 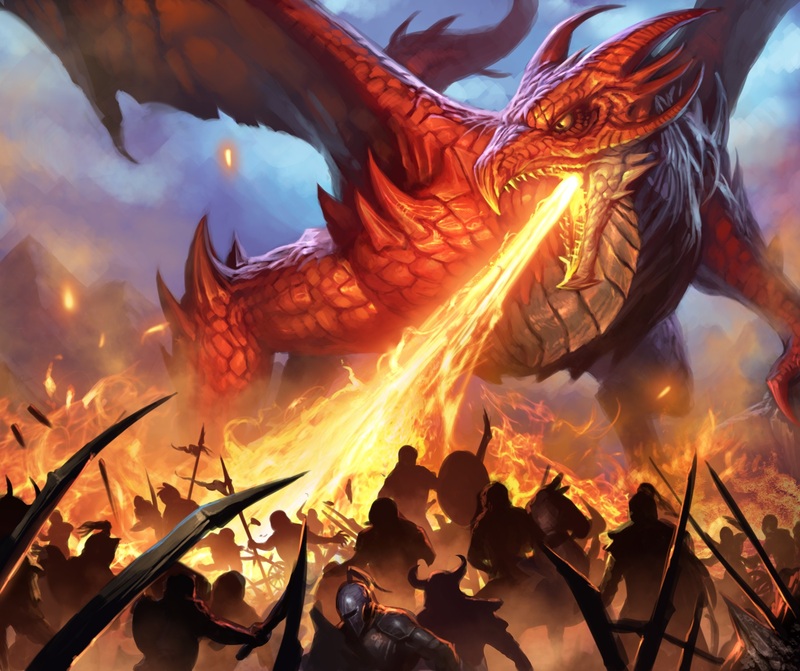 As the dragon moved closer, she saw the flame build up in his throat, but mere seconds before the fiery volley was due, Markus sank an arrow deep into Draka’s throat. 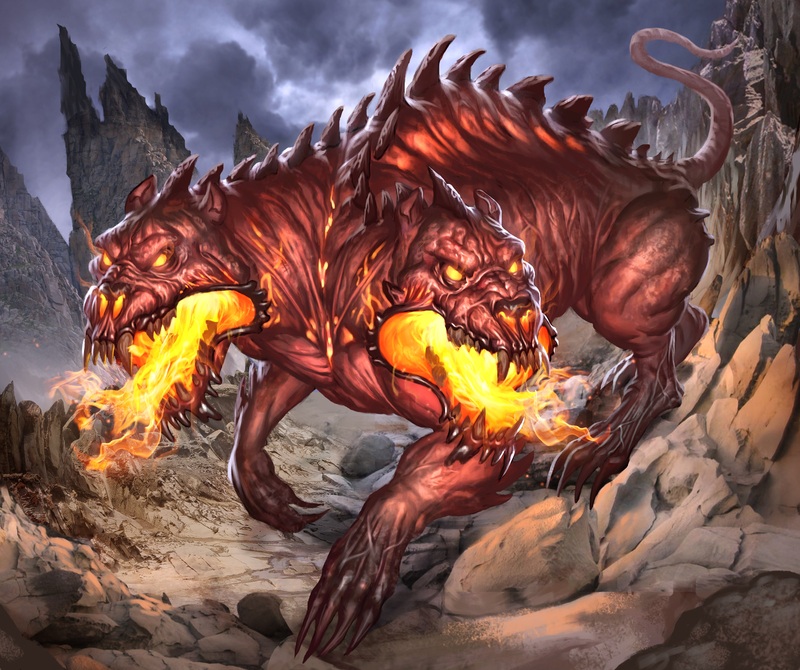 Directionless fire spewed from the mouth of the Hunter as his flame sac burst, and Draka pulled out of his steep dive, screaming in rage and pain. Markus breathed a sigh. His confidence was his strongest ally, but even he had to admit his luck was indeed grand. He watched the Hunter circle again, this time on a different approach. 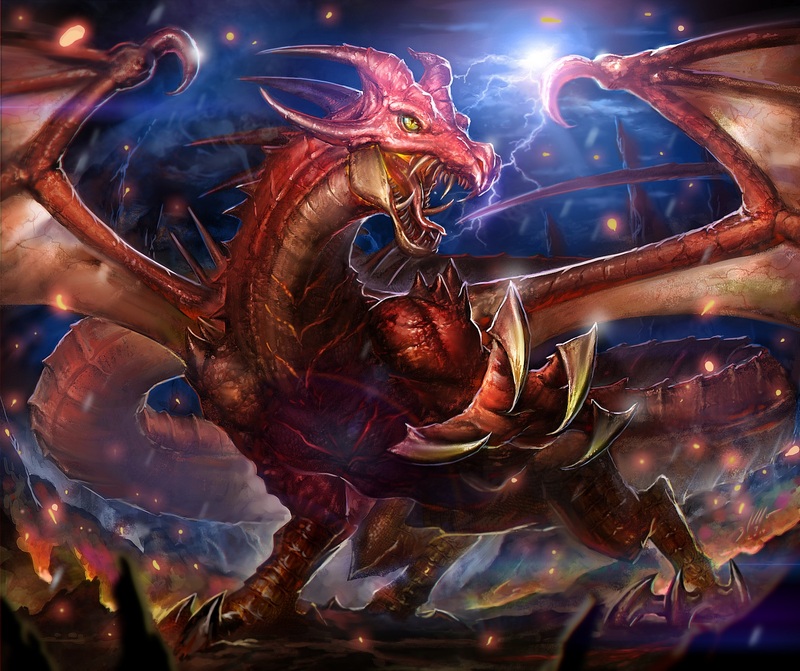 Draka’s wings unfolded, and with a ground-shaking crash, he landed atop the wall. The Hunter turned to Markus, and screeched in his direction. Most men would have recoiled from that display of hatred and rage. Markus instead drew his sword, and his dagger. The dragon approached, claws and talons razor-sharp, and more teeth than Markus could count. Markus tightened his grip, and loosened his stance. He would make his mark, and the Gods would know his name. Paros had already drawn one of her throwing daggers when Keira crashed into her, sending both women tumbling down near the edge of the roof. Keira recovered first, grabbing Paros by the throat as they rose and pushing her against the stone wall of the next building over. Paros pulled another dagger, which Keira knocked out of her hand, but the distraction was successful, as the rebel leader managed to drive her knee into Keira’s midsection, and kick her over the edge of the roof. Keira tumbled down, and landed hard on her back. Her fall had been partially broken by a washing line, but she bore most of the impact on her back, and it knocked the wind out of her. Keira was unable to argue the point as Paros vanished. She forced herself to move. Her body was one giant bruise, but she would not fail Markus. Draka approached his prey carefully. This human was not like the others, and he was worthy of caution. The Hunter was used to his prey being afraid, and he was not sure whether he should respect a being that showed no fear, or crush it harder. Another screech for good measure. Let the Gods hear this contest. The Dragonsong was long gone from his mind, but he was aware of their presence still, and he was aware that the song was about to end. The Hunter was so engrossed in this contest of will and strength, he did not expect the dagger that struck just under his right wing. Enraged, he turned, his mighty tail whipping around. Markus might have been crushed by it if he was not so close to the ramparts. Draka saw the tiny female human just as the second dagger pierced his eye. 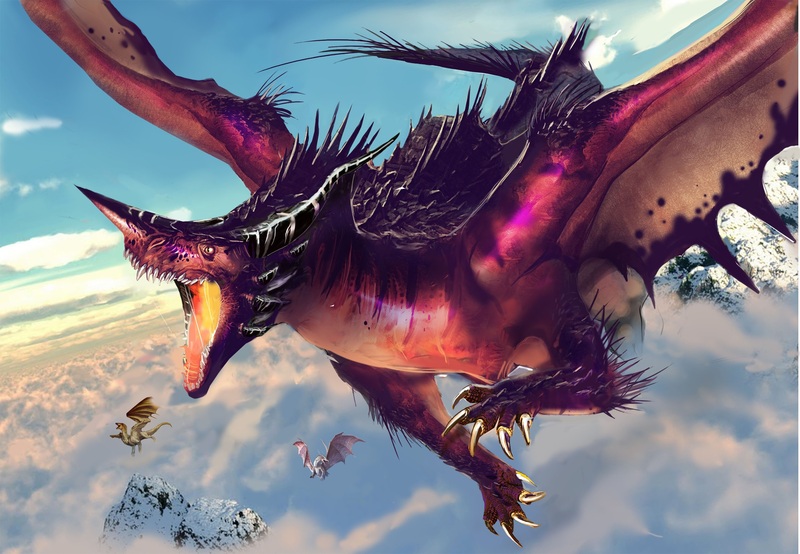 Draka howled his fury, but almost immediately, he felt the other human jump on his back, and he felt a sharp pain where his right wing met his body. Markus had seen Paros approach, and was mildly surprised that her target was Draka, but he took his advantage where he could, and sank his weapons deep into the muscle controlling Draka’s wing. He grit his teeth, aware that this would be the fight of his life. The Hunter thrashed around with the fury of the gods to try and dislodge the watch captain, but Markus had used both his sword and dagger, plunging each one deep into the side of the dragon. He could feel his body slamming against Draka’s bone scales, and he could feel the fog closing in, suggesting blood loss. Markus knew he had little time to act. 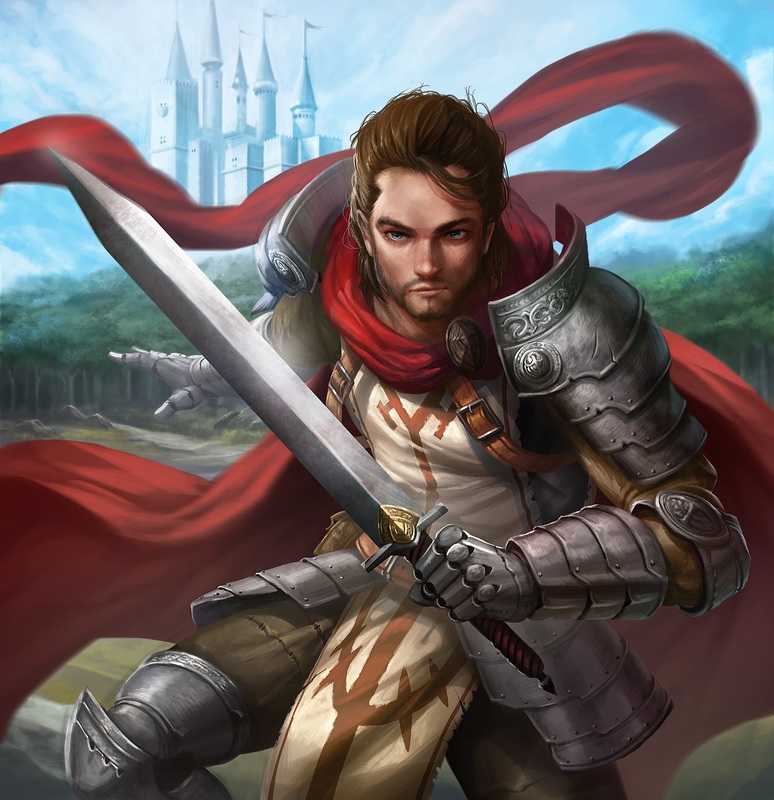 He grimaced and twisted the sword with all of his might, trying to tear the wing tendon right out of his foe. Draka screeched louder than ever, and Markus knew he had made progress. However Draka, desperate to escape this fresh new hell, pounced forward and charged the ramparts of the wall of Covenant. He tried in vain to achieve the dragonflight that Markus had taken from him. Man and monster crashed into the heavy stonework with a sickening thud. Paros watched as Draka slammed himself and Markus into the wall. The dragon flipped over the lip and tumbled to the earth far below. Markus, covered in blood, was leaning where he had hit the unyielding stone, having finally lost grip of his weapons. He was limp. She ran towards him. Paros didn’t know what would happen next, but that was the nature of the day. Out of the corner of her eye she saw Keira. The Wolf Caller had climbed the inner wall behind Markus, and was also running towards the watch captain. Markus sighed. His body failed to move. The pain. He made a single attempt to get up, but bones were broken. Shattered. He could no longer hold a sword. He saw the blood, and knew it was mostly his. He had seen the dragon attempt to fly, and he heard the mighty beast tumble over the wall. He felt good about that. The city would no longer fear Draka. Markus moved his head to the left. He could vaguely make out Keira, running toward him. He saw her screaming, but he could not hear it. There was a rush of noise in his head, like a river flowing past him. It sounded like music. The last dying note of an epic song. He heard the gods whisper his name, and heard himself laugh. Paros reached Markus first. She dropped to her knees, yelling for him to wake up. Her frenetic pace slowed down when she saw the blood, and the glassy-eyed stare. She put her hand to his neck. 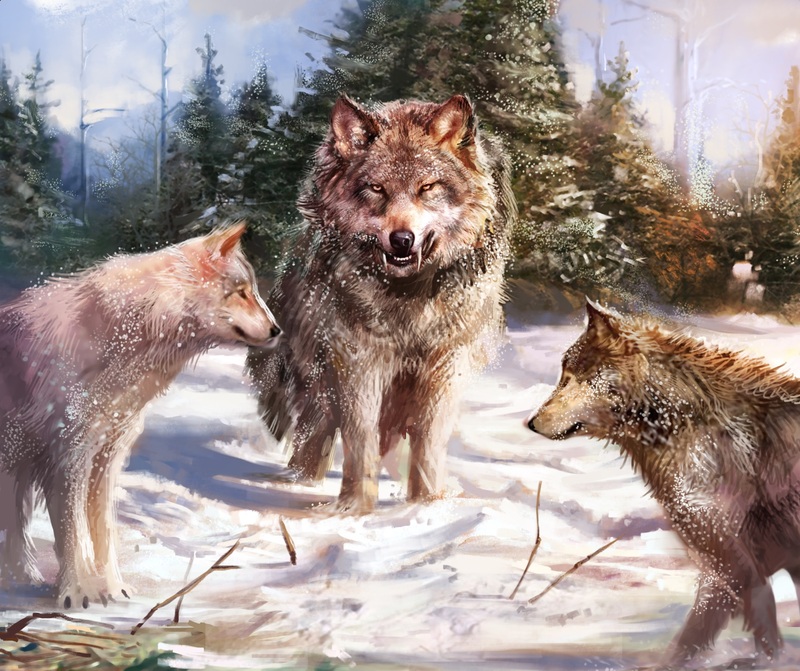 Paros looked to Keira, and the Wolf Caller stopped running. It was no use. 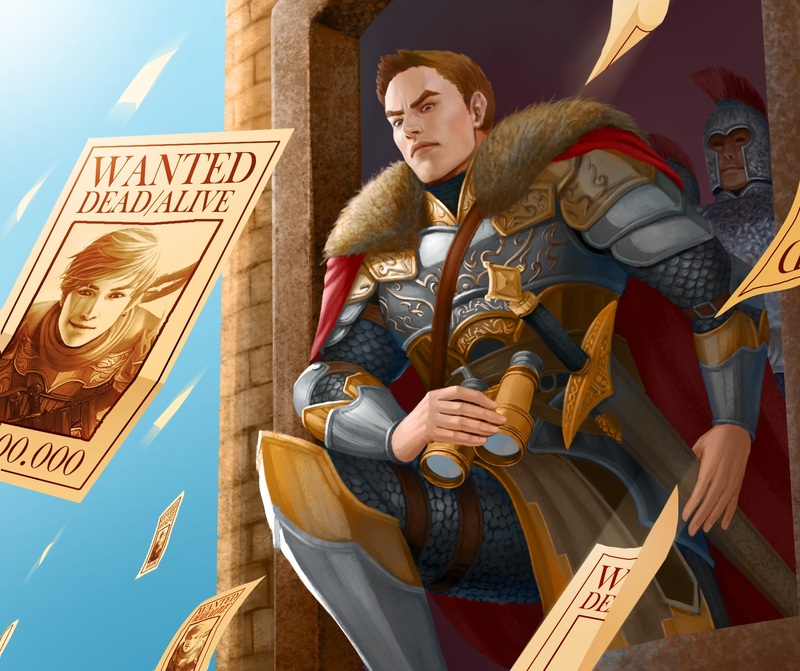 Captain Arik Markus, hated Tyrant of the Watch, and the Hero of Covenant, was dead. Keira’s howling stopped, as did her sprint. After a moment’s hesitation, she ran to the edge of the wall and looked to where the dragon fell, but nothing was there. She saw the flattened earth, and the tracks leading to the deepwood, and she swore. Paros didn’t see which way Keira went. The rebel leader reached out and closed the watch captain’s eyes. She didn’t want anyone to find the body without knowing of the heroic sacrifice. Paros realized that she may be stuck here for a while until someone finally came along. Draka was not used to running. He crashed through the scrub and trees of the deepwood in a way that no true hunter does. He needed to escape. No human had dealt as much damage as that one had, and the pain and blood loss was catching up to him. The Hunter broke into a small clearing and fell. If he could not fly, he would need help. Draka let out a cry that Scarros would hear no matter where the mutated wolf was, and then put his head down, just for a moment. The battle had been a long one, but he had won. He was Draka, the Hunter. He always won. It wasn’t long before Draka heard the howls. Twin voices, signalling their proximity to their master. Then he heard a third. Then a fourth. And a dozen more. Draka looked all around the clearing. He knew what this was. He had experienced it thousands of times. This was the end of a hunt. 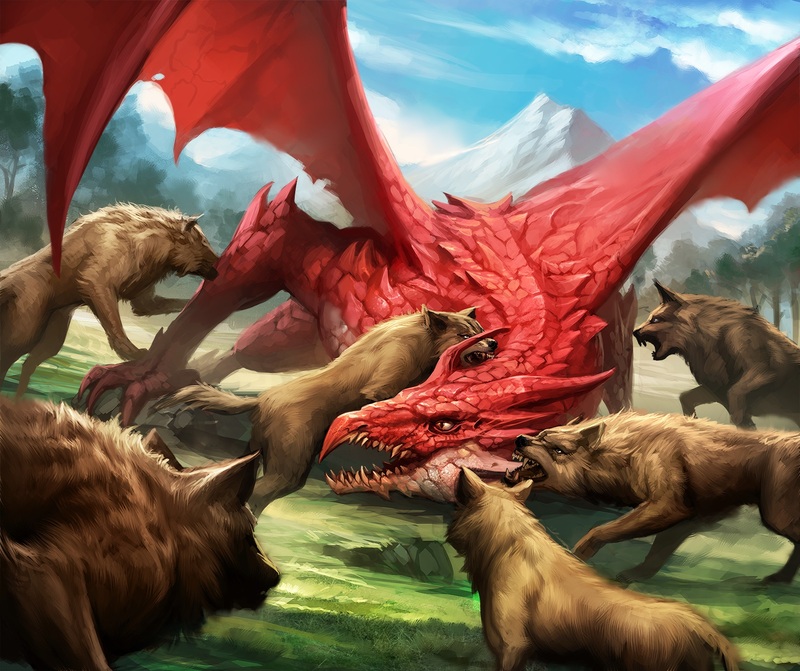 All in all, fifteen wolves had surrounded the dragon, and all of them were snarling, baring fangs, and making every sign of a coordinated group attack. Draka bared his own fangs. His fire had been taken by the same human that took his flight, but he was far from helpless. Then he saw the human. The female of the species. Draka had seen this one before, riding with the wolves as they ran. Draka finally understood. He did not curse his fortune. He had played the game and lost. He had been outhunted. Keira had cried earlier, but her tears were long gone. Everything good about her had been taken. Taken by him. Taken by the dragon. She was empty inside, except for her rage, and her hate, and she had nothing to say to the legendary hunter. She spoke the command. The only command she could give at this time, and the wolves attacked as one. Keira’s horse reacted before she did to the sudden appearance of the mutated hound. She sprang to her feet. The light had gone behind the trees, but she could see the flames clearly outlining the scaled two-headed monster. Scarros entered the clearing tentatively, and slowly approached his fallen master. Keira felt like she was six years old again. She felt the same apprehension and helplessness as that day, where she first saw the wolves, but this was different. Her protector would not save her. That man, who kept her straight and out of trouble, that made sure she was clothed, fed, and educated…he was her only family, and he could not save her now. Keira took a deep breath and stepped towards the fire hound. Scarros looked up and snarled, but did not otherwise react. She approached him, her palm towards him. “Hello,” she said. She wasn’t sure why. “My name is Keira,” she added. Scarros felt the mind of this human reaching into his own, but unlike the last human that did this, it was more inviting. More pleasant. This was not a demand for obedience, this was a request for friendship. Keira watched impassively as the dragon fought a losing battle. One or two of the wolves fell, but the cumulative effect of a dozen sets of jaws gradually tore him apart. The battle was over long before he died, and the memories of a thousand hunts flooded his mind as the night closed in. Draka thought he heard the Dragonsong one last time, and then all went dark. 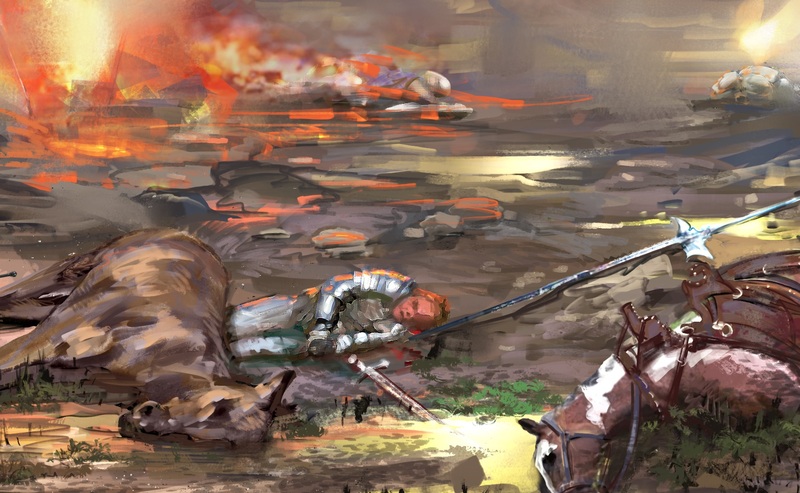 Keira dismounted her horse and sat, watching the wolves pick at the corpse. One by one, they discovered that there wasn’t much edible meat on a dragon, and they left to find a juicier hunt. The Wolf Caller lay on her back and watched the sun starting to set. The sounds of battle had long since dwindled, but she knew she was nothing left for her in Covenant. She lay on her back and let the sounds of nature fill her mind. Scarros allowed the woman to touch him. She ran her hand slowly down his back, feeling the scales there. She touched his mind, and saw only cruelty and fear. This poor creature was a victim. She put her other arm on his back, and slid her hands to the back of his necks. “Come with me,” she said. Her unspoken promise to him ensured his devotion. Scarros snorted, and nuzzled her. “You’re free now,” she said, and she looked to the reddened sky that hovered over the now burning city. “We’re both free,” she whispered. Scarros snorted again, and he trotted off with nary a glance towards his former master. His mind touched hers once more. He would revel in his new-found freedom. He was the hunter now. A last thought lingered before he disappeared into the trees. When she called, he would answer. Keira mounted her horse and rode. She didn’t know where she was going, and she didn’t care, as long as there were wolves, and a place in which to hunt. Author’s note – I’m often fascinated by unanswered questions. Sometimes, as a writer, I get to answer my own. That can be a curse, since it removes the wonder and potential from an image, but in this case it was a blessing. I had already plotted this story to cover Keira’s life, and Markus was always in it, but the ending came about in a very different way. I had been drawn to Markus from the start. One day, Darwin was doing the art requests for Uprising. He leaned over to me and asked how I see the fates of the Tyrants. For example, how do you see Markus falling? Does he die? Hunting Pack is the direct result of this conversation, and that makes me so happy! This also had the virtue of giving me a great ending to what I think is one of the best short stories I’ve ever written. I have more featuring Markus, Draka, and Scarros. One day I might even tell those stories.